The S.S. Discover File Folders feature nautical exterior designs and solid coordinating interiors. This 6-pack includes 2 folders of each eye-catching design-blue rope, red-and-white stripes, and multicolor dots. 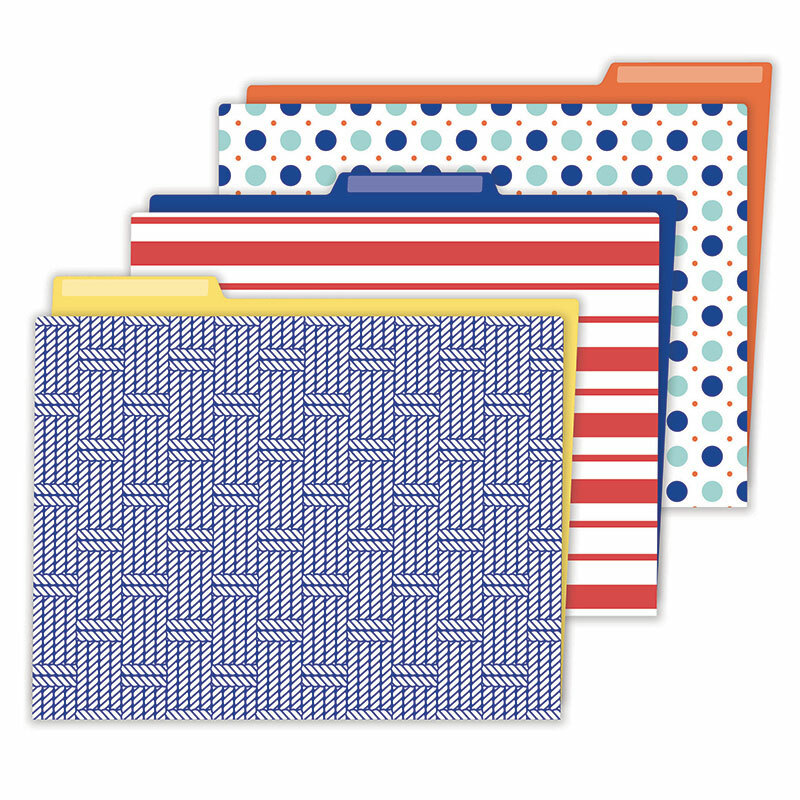 Our file folders offer a creative solution for organizing your classroom while showing your sense of style. Easy to personalize, these folders measure 11.75" x 9.5", the perfect size for storing and organizing assignments and other important documents. Make sure to view our other S.S. Discover products to create a cohesive classroom theme.